You might be familiar with Cloudbet.com as they are one of the biggest sports book website on the internet today. 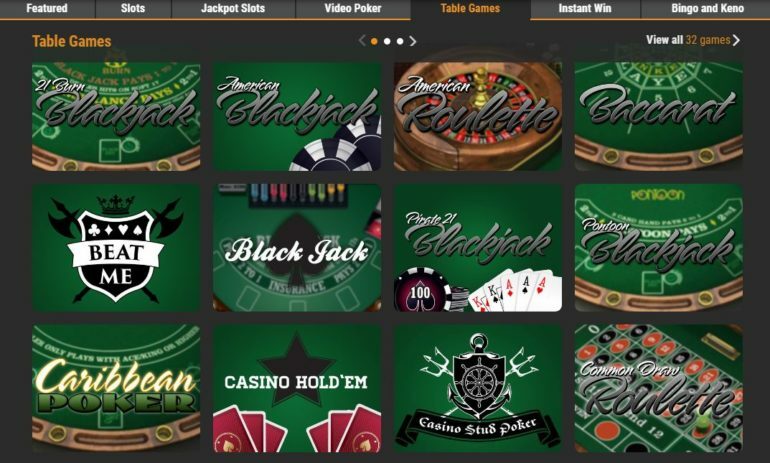 Not only do they cater to Bitcoin betting for sports and e-sports, they also cater Bitcoin betting for their casino games. But before you try out their games, you need to update your Flash Player first and try to use Google Chrome as Firefox has problems loading the games. Here are the games that I tried out for you. Once you have chosen your Ante, just click on DEAL and you are good to go. The dealer will then give you two cards, three faced-up cards in the middle and two for his end. At this point you can either “CALL” or “FOLD”; when you, of course, choose FOLD you would lose your Ante. 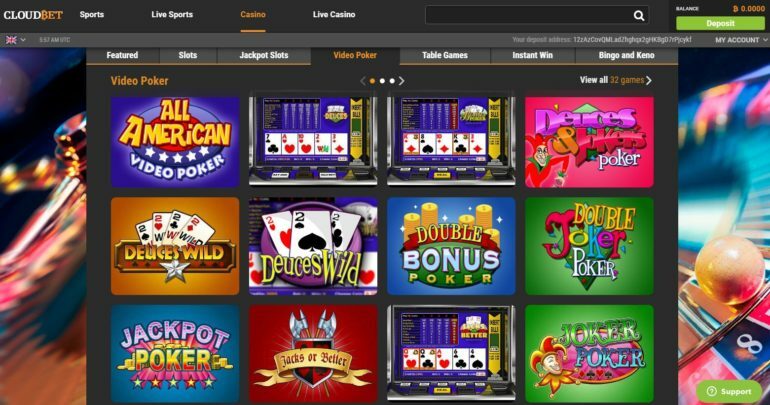 Choosing CALL will pump up the Ante and you are required to put in 2x the value of your original bet. Since we bet huge, we needed to place $200 on the table. To start the game you just need to choose your Ante and click on DEAL. 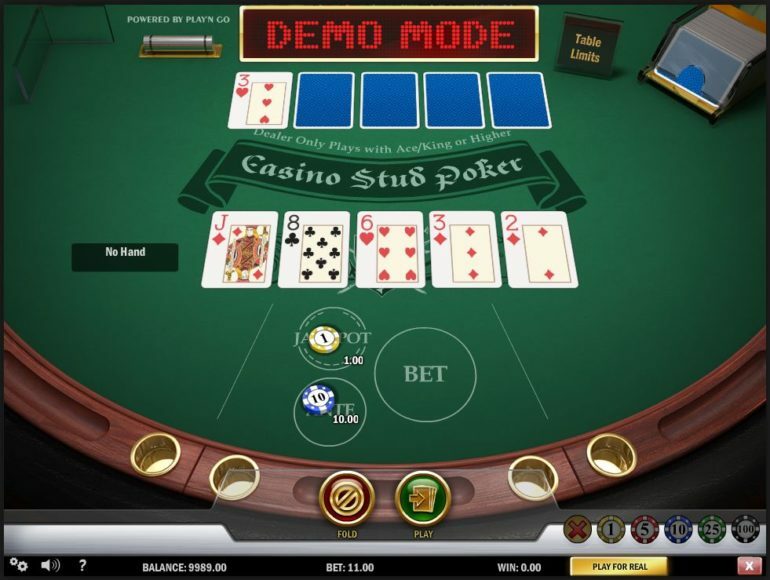 Five cards will be dealt per side and automatically arranged. One card would be face up on the dealer’s side. At this point, you are able to FOLD or BET. If you choose Bet; you need to put up 2x the value of your Ante. 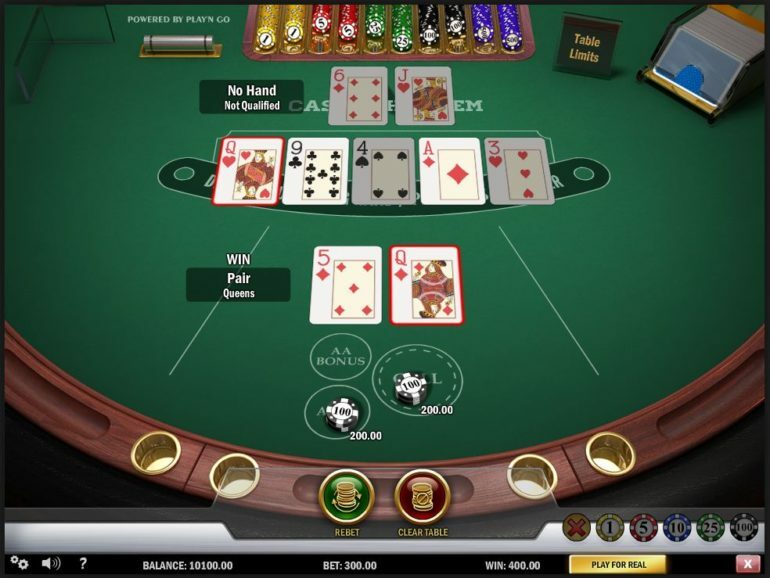 Take the screenshot above for an example; I placed a $25 bet when I clicked on “Bet”, the dealer asked for an additional $50 to be placed on the table. Choose your Ante and place it on the table to start the game. You are also able to bet $1 to the Jackpot in case you get lucky. 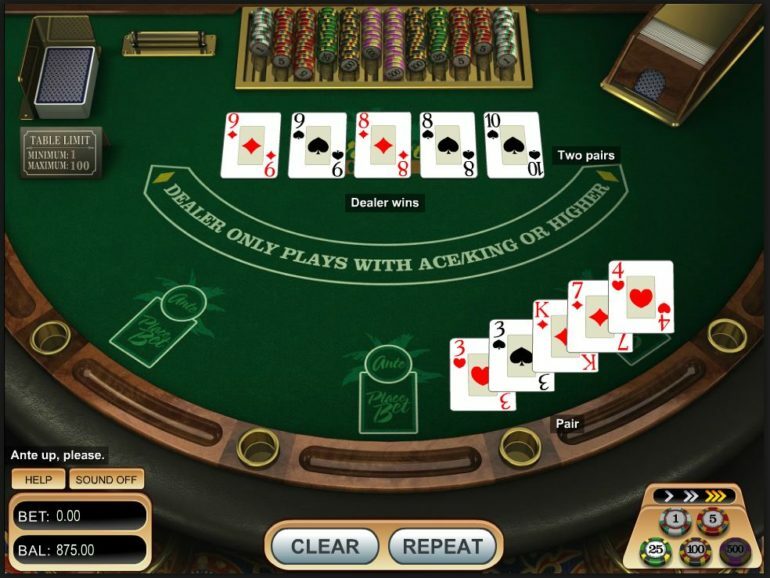 Click deal and the dealer will give you five cards and five for his side with one card face up. At this point, you are able to Fold or Play. Choosing play will of course up the Ante and you are required to put in twice your original bet. 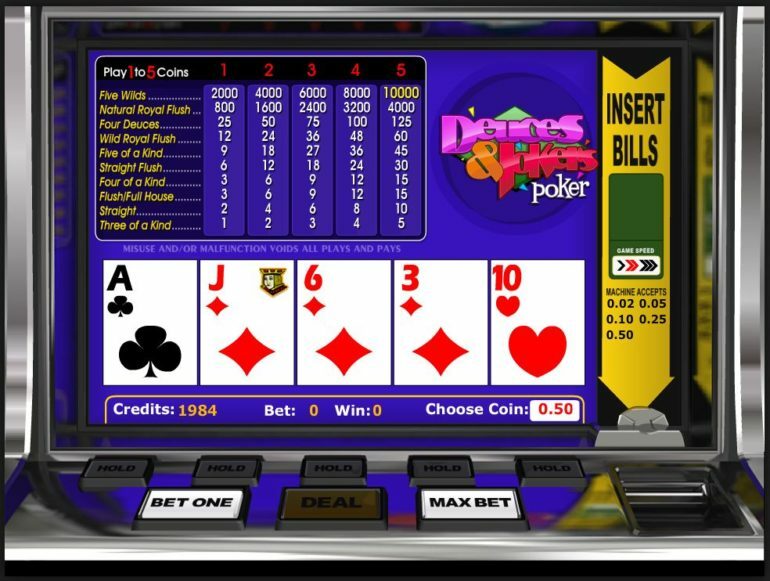 Place your bet, choose how many coins you want to play with and press DEAL to start the video poker game. In Deuces & Jokers, you get 2’s as wild cards as well as Jokers too. Start the game by pressing DEAL and you’re on your way to win coins! If you need some Bonus Codes or Discount Coupons, check this crypto casino coupon site. They are not only known for their Video Poker machines but their awesome tables as well. 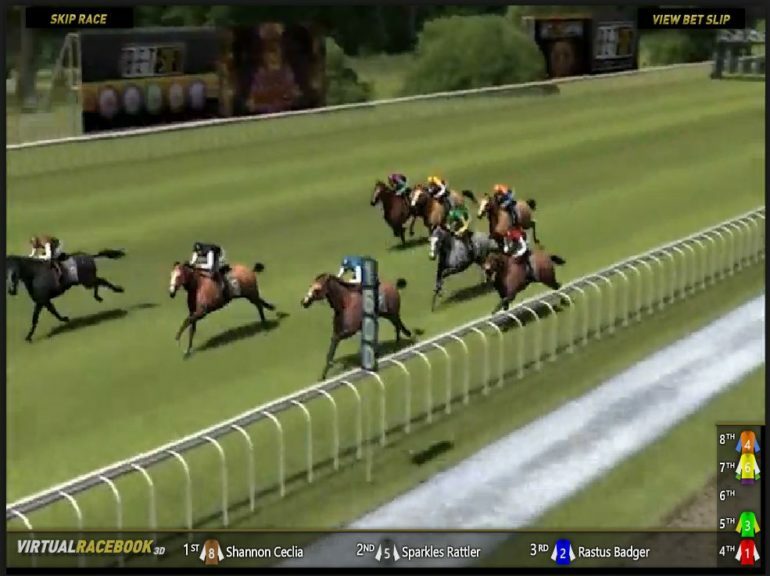 They also have a virtual racebook which you can bet on horses and watch them run the track! Please see the screenshot below. Cloudbet.com has everything that an online casino should have. They have familiar games from Blackjack, Poker, Bacaratt and of course Horse Racing! What more can you ask? Before you deposit money into your account, please do try their games out before everything else.